We know that homes are as individual as the people who live in them. 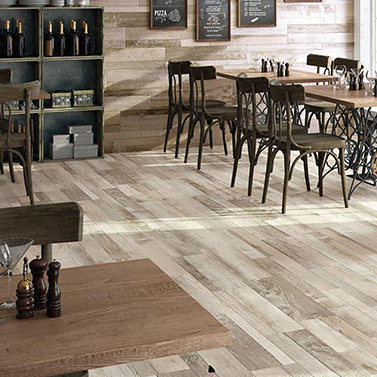 As there is such a vast array of flooring options out there, having to decide what you want usually leaves you feeling confused. But fear not. 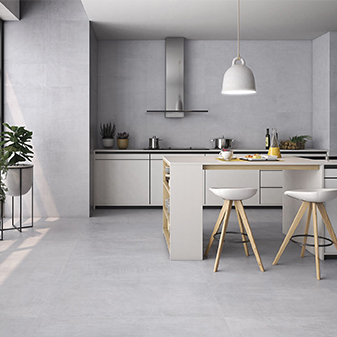 At Mazzanna customer satisfaction is of the utmost priority, which is why we ensure all of our floor tiles are both strong and durable to withstand constant wear and tear as well as being easy to clean. Our collection of products will add a definitive style and elegance to your home and, for ease of browsing, they are ordered by; type, colour, material and by finish on our store page. 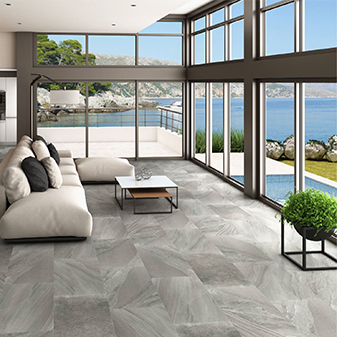 Once you have chosen the tiles you want for your home, it's high time to get them fitted. Have a look at the assortment of tools and accessories you will need to fit them on our store page. 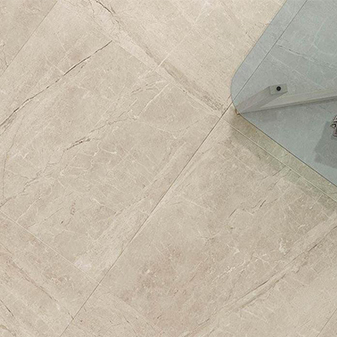 For the best, high-quality and inspired results at affordable prices look no further than Mazzanna Tiles. Whether you are looking to refresh, renovate or embark on an ambitious new build, our impressive 11,000 sq ft showroom in Huyton, Liverpool boasts an extensive range of stunning floor tiles to suit a variety of discerning tastes. At Mazzanna we understand that each home is as individual as the people who live in them. As such, customer satisfaction is of the utmost importance to us which is why all the wall tiles we stock are both strong enough and durable enough to withstand a lifetime of wear and tear. At our impressive showroom we stock a wide range of wall tiles that are all available in various different sizes and finishes which instantly improve the look and feel of a room. With a selection of patterns and colours to choose from you can be certain we have the tiles on hand to suit all of your potential needs for bespoke solutions tailored to suit your budget, space and lifestyle. Customer service is at the very core of all that we do so we ensure that our wall tiles will bring something extra to your room and with a selection varying from classic marble to slate effects all the way through to colourful mosaics, we have something for you. Why not pay us a visit at our easily accessible Huyton Showroom? Located on Wilson Road in Liverpool just off M62 and M57 motorway networks, where we have ample parking as well as disabled access. It's no small surprise that we spend a large portion of our time in our kitchens. Whether it's to cook up a quick bacon butty or slaving over perfecting that Sunday roast (it's the roasties that make all the difference). 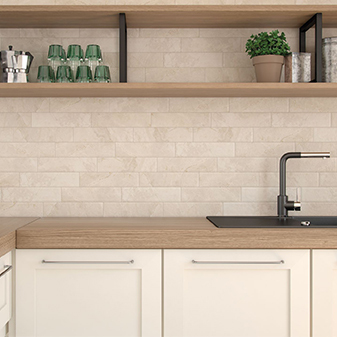 It's safe to say we soon rack up the hours standing around in our kitchens, which is why we at Mazzanna Tiles know it's vital they look fantastic. Our 11,000sq ft showroom in Huyton is home to our wide selection of kitchen tiles which come in a variety of different styles, finishes and colours; ensuring you have plenty of choices that are necessary to creating your dream kitchen. Let Mazzanna help you cook in style. From colourful patterned tiles to elegant plain colours, our beautiful range of kitchen tiles are sure to fulfil your dream. Our Huyton based store in Liverpool is even easy to find from as far as the Wirral using the M62 Motorway network (Barnston – Bebington – Beechwood - Bidston – Birkenhead – Brimstage – Bromborough – Bromborough Pool - Caldy – Canning – Claughton – Eastham -Egremont – Ford – Ford Estate - Frankby – Gayton – Greasby – Great Meols – Heswall – Higher Bebington – Higher Tranmere - Hoylake – Irby – Landican – Larton – Leasowe – Liscard - Meols – Moreton – New Brighton - New Ferry – Newton – Noctorum – Oxton – Pensby – Poulton – Port Sunlight – Prenton – Raby – Raby Mere – Rock Ferry – Saughall Massie – Seacombe – Spital – Thingwall – Thornton Hough – Thurstaston – Tranmere – Upton – Wallasey – Wallasey Village - West Kirby – Wolverham – Woodchurch). Believe it or not, our bathrooms are actually multi-functional rooms. Whether we're having a soak in the bath, a quick shower or pampering ourselves in front of the mirror, we spend a sizeable amount of time in our bathrooms. It's also going to be a room your guests are highly likely to visit and it's important the room looks nice for the benefit of everybody. So why not add a touch of splendour to your bathroom with one of our brilliant designs that incorporates our eye-catching bathroom tiles? 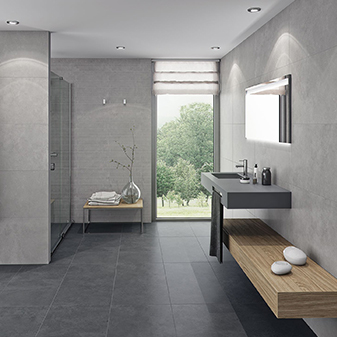 At Mazzanna Tiles we understand that customer service is of the highest priority, which is why we ensure all of our bathroom tiles are strong and durable to withstand constant wear and tear as well as being easy to clean. Tiles have always been the go to material for use in bathrooms for these reasons. The traditional approach for decorating bathrooms with tiles was to aim for a plain white look but that is thankfully no longer the case. Our showroom stocks a rainbow of colours for you to choose from that will be as functional as they are fashionable so you won't have to settle for any old ordinary look. Even if you do opt for a classic white design, or a combination of black and white, any size of bathroom can be totally transformed by our range of tiles. Mosaic tiles are a very trendy option for any room you choose to decorate them with and they come in such a variety of options that are so many different types to choose from. Whether you're looking for a natural stone, glass or ceramic, with a range of finishes from matt and gloss or even iridescent, then we have the perfect mosaic tile set for you to bring a sense of style to your home. We guarantee they will really impress your guests. 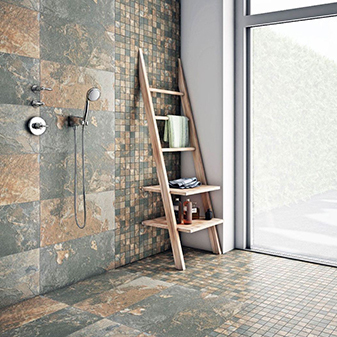 Recent times has seen the trend of a very natural look to many a mosaic tile set. 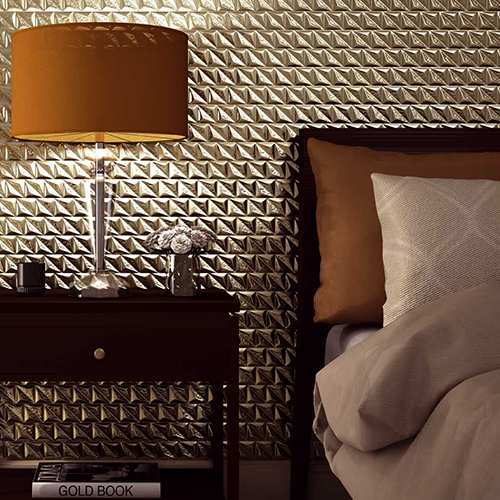 They are very durable and give a luxury feel to your home. Unlike natural slate tiles, they do not require all the special treatment and maintenance, and they are much more cost effective too. They are a brilliant choice when it comes to choosing your mosaic tiles. For ease of browsing all mosaic tiles on our store page are ordered by; type, colour, material and by finish on our store page. 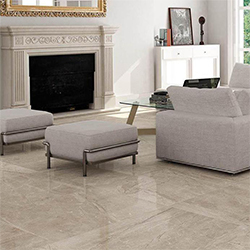 Once you have chosen the tiles you want for your home, it's high time to get them fitted. 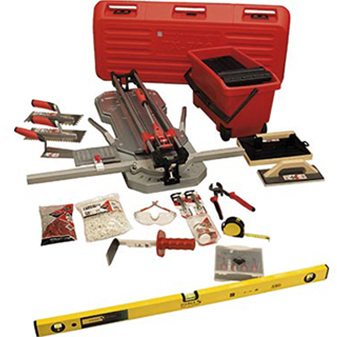 Have a look at the assortment of tools and accessories you will need to fit them on our store page. 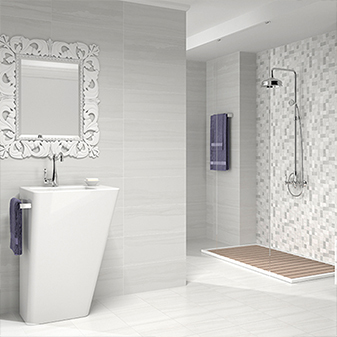 For the best, high-quality and inspired results at affordable prices look no further than Mazzanna Tiles. We are easy to find in Huyton whether you are travelling from the nearby vicinity (Prescot, Whiston, Rainhill, Sutton Park, Bowring Park, Belle Vale, Tarbock Green) or further afield as we are close to the M57 and M62 Motorway networks. Whether you'll be tackling your tiling project with your own two hands, or you're providing your tiler with the goods, you'll most likely be needing some of our accessories in your corner. Here at Mazzanna we stock everything you could possibly need for tiling accessories. Our extensive range of products includes cutters, grout floats, waterproofing kits, and many more, you're already in the right place. Our store is even easy to find from as far as the Wirral using the M62 Motorway network (Barnston – Bebington – Beechwood - Bidston – Birkenhead – Brimstage – Bromborough – Bromborough Pool - Caldy – Canning – Claughton – Eastham -Egremont – Ford – Ford Estate - Frankby – Gayton – Greasby – Great Meols – Heswall – Higher Bebington – Higher Tranmere - Hoylake – Irby – Landican – Larton – Leasowe – Liscard - Meols – Moreton – New Brighton - New Ferry – Newton – Noctorum – Oxton – Pensby – Poulton – Port Sunlight – Prenton – Raby – Raby Mere – Rock Ferry – Saughall Massie – Seacombe – Spital – Thingwall – Thornton Hough – Thurstaston – Tranmere – Upton – Wallasey – Wallasey Village - West Kirby – Wolverham – Woodchurch). 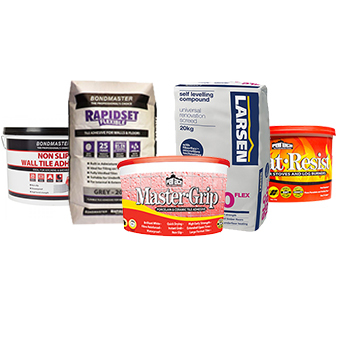 Here at Mazzanna Tiles we provide a comprehensive range of strong, fast-setting adhesives and grout from some of the top named brands available. We pride ourselves on our customer service and we will ensure that you're able to find the right, top-class material for the job that is able to last for years to come. Once your tiles have a sound, level surface to be affixed to, you'll be wanting some of our tile adhesives. There are two types of adhesives, namely powdered, which comes in a bag or readymix which comes as a pre-mixed liquid in a tub. At Mazzanna Tiles you can choose from the biggest brands such as; Bal, Bostik, Ardex, Mapei and Evo-Stik. When your tiles have been affixed for the required amount of time on the wall or floor then you will need to grout them. 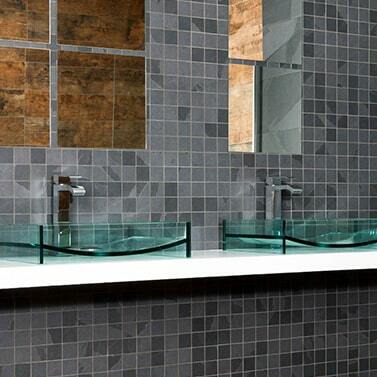 Tile grouts now come in a wide variety of colours and we at Mazzanna Tiles have a plethora of options to choose from. We are easy to find from areas in the North of Liverpool via the M57 motorway network (Ainsdale – Aintree – Birkdale – Blowick – Blundellsands – Brighton-le-Sands – Churchtown – Crosby – Crossens – Fazakerley – Formby – Freshfield – Great Altcar – Hightown – Hillside – Ince Blundell – Kirby – Litherland – Little Altcar – Little Crosby – Lunt - Lydiate – Maghull – Marshside - Melling – Netherton – Old Roan – Orrell Park – Seaforth – Sefton – Southport – Thornton – Waddicar - Waterloo – Windle – Woodvale).